My earliest memory of my introduction to Art was at the age of 3 living in the Bronx, New York, when my father and brother and I would oil paint together in the living room. That one moment in time, started a Love for Art that is unquenchable. Earth Day 16x20 Painting (portraits of exotic Animals surrounding the earth) donated to the event. Season's Restaurant (Removable Charcoal Mural) Thanksgiving Depiction Mural Commissioned for the Restaurant Dining Hall. Earth Day event (Rain Barrel Sculpture depicting the Tree of Life) Displayed in Rafiki Planet watch for 3 years. 2006- Commercial Murals for Marriot Vacation Club and Pizza Hut on International Drive. 1995-2015 Commission Artist for Murals and private Collectors throughout Central Florida. 2015-Present Exhibiting in Galleries and Art shows, Community Workshops, Mentorship program and Fundraising events. 2017- EPCOT International Festival of the Arts Workshop- Featured in World Showcase, Abstract Painting Instructor. Crystal is a native New Yorker, born and raised in the Bronx and upstate New York. Crystal now resides in Apopka, Florida, where she enjoys living near nature in a rural setting, but within minutes of the downtown Orlando and Mount Dora Art District. Crystal Dombrosky - Artwork: Apopka, Florida, USA. My artwork has been exhibited and or critiqued at the following museums, galleries and venues. 06/2018 Tranquility Fine Art Gallery. Windermere, FL. (Grand Opening Group Exhibit). 05/2018 Boca Grande Art Invitational Gasparilla Island, FL. 05/2018 Howard Allen Craft/Art fair Delray Beach, FL. 05/2018 St. Augustine Art Association. St. Augustine, FL. (Plein Air Art Exhibit). 04/2018 Innovate Downtown. Coral Springs, FL. (Public Art Showcase). 04/2018 Arts on Grenada Gallery. Ormond Beach, FL. (Group Exhibit). 03/2018 Avalon Fine Art Gallery. Orlando, FL. (Solo Exhibit). 03/2018 Osceola Arts. Kissimmee, FL. (Creative Woman in the Arts Group Exhibit). 03/2018 Carnival Cruise Ship Heaquarters. Miami, FL. (Art Showcase Presentation). 01/2018 YOLO- Choose 954. Las Olas, FL. (Local Artist Showcase Solo Exhibit). 01/2018 EPCOT International Festival of the Arts. World Showcase. Lake Buena Vista, FL. 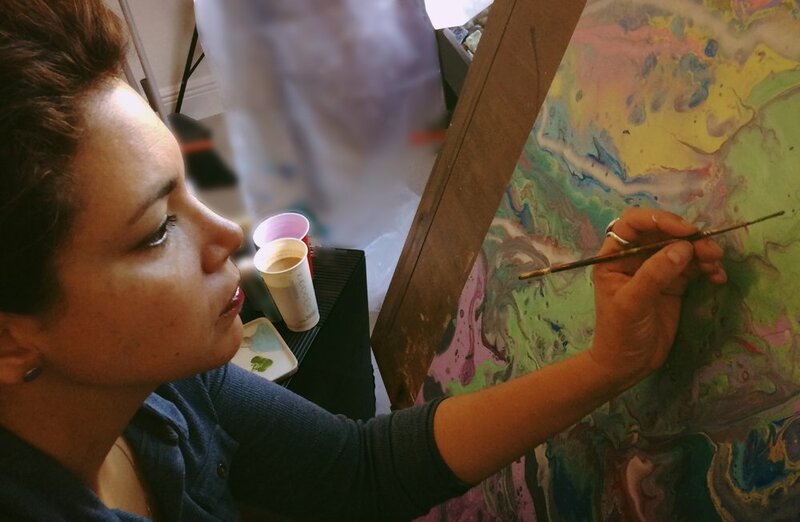 (Featured Artist, Showcased and taught an Abstract Painting Workshop for 45 Guests). 12/2017 Timucua Art's Foundation. Orlando, FL (On stage, Live Art performance alongside The Dimick, Frieder Duo). 10/2017 and 08/2017 City Art Factory Downtown Orlando, FL (Did de Los Muertos and The Boarded Up Group Gallery Exhibit). 09/2017 ArtLando. Orlando, FL. (Featured Artist Sponsored by Sam Flax). 07/13/2017-09/07/2017 Art gallery at Mills Park. Orlando, FL (Juried National Summer Exhibit). Group Gallery Exhibit. 06/21/2017 Mercedes-Benz Maitland, FL (WMMO Coming Together Downtown Arts Social). Live Art Painting and Art Exhibit. 06/2017 Sam Flax Orlando, FL (Pulse-a Year Later What has Changed?) Traveling Art Exhibit. 04/15/2017 The Current Gallery at the Washburn Imporium Sanford, FL (ApartmentE Gallery Show). Live painting. 2016 Maitland Art Museum. Maitland, FL. (Art 31 Artist Exhibit and Critique).